You would need a reliable UserVoice alternative to effectively listen to what your customers have to say. It should comprise of comprehensive customer support tools so that none of your patronizers’ pleas go unheard. Your best bet could include feedback forums and maybe even a space where they can pose their questions and espy information bits based on their query. You should further be able to prioritize user feedback so that both parties can benefit from the comments put forth. Now where do you find such as solution, you might wonder. Well, look no further as your answer can be found among the various contenders listed here. Check out the following options. 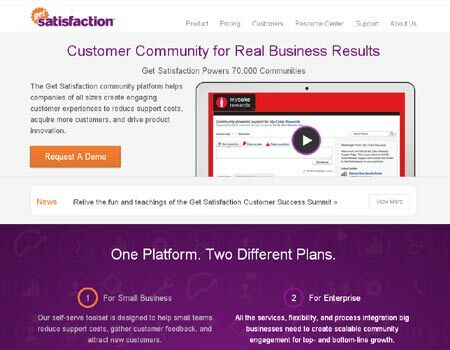 Launched in 2007, this customer community software platform based in California aims to help you acquire more customers, lower support costs and drive product innovation. To excel in this endeavor, it proffers a pair of different plans for enterprises and small businesses. You can choose whether you want to make your community public or keep it private. You’ll further be able to customize it according to your branding by taking complete advantage of moderation and curation tools. Some of its other features include unlimited employees, customer champions, management view, mobile-optimized, HootSuite integration and engage widgets. Coming to the pricing details, for small businesses its $39 per month and for enterprises, you’ll have to contact the concerned persons for a specific yearly amount. This app like UserVoice comes to the forefront with the tagline, ‘complete solution to provide customer support.’ You can rely on this one to drive product innovation and better your customer service experience, as per the brains behind this endeavor reveals. It further claims to proffer flexibility and functionality than simply being just a forum where users can put in their comments and queries. 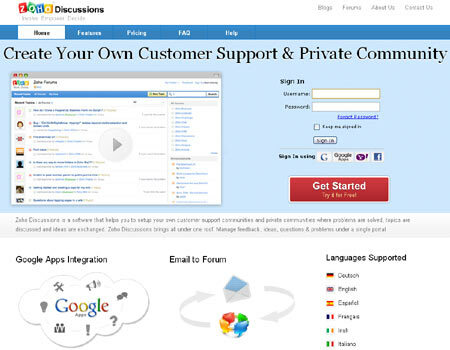 Through this service, you can easily manage customer feedback, exploit ticketing support system with private topics and even live chat with visitors. A few of the other attributes include merging topics, ordering and filtering, voting on comments, voting for topics, subcategories, private discussions, full text search and topics tagging. There are 4 types of plans namely, Free, Base, Base+ and Advanced which are priced at $0, $15, $59 and $256 per month, respectively. When you turn to this particular delight, you can expect to work with a single user-friendly interface that helps you seamlessly manage your customer-support platform, community forums and user analytics without having to jump from one place to the other. Customers can discuss, submit, follow and vote on feedback and comments. There’s even a handy admin forum complete with predefined filters for jotting down internal notes and replying to users. You’ll also be provided with plenty of customization options so that you can keep your header and footer content and style up to date. Besides proffering a free Start plan, you can even opt for a trio of other schemes – Plus, Compete and Enterprise which are individually priced at $49, $99 and $499 per month. 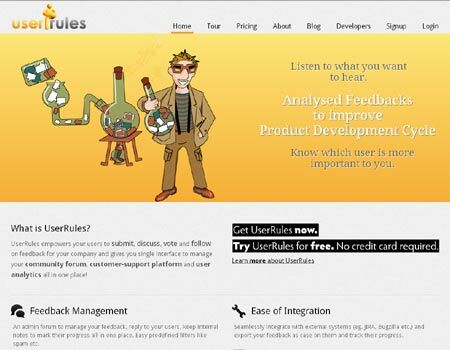 This feedback management tool in our services similar to UserVoice roster lets your customers punch in their recommendations and ideas pertaining to your company, product or project. What’s more, the visitors can even vote for what they feel may be the best ideas listed out there. In turn, you can opt for an idea you think would benefit both parties, send an official response or even discuss various notions with your users. This gem can be great for keeping up to date with the demands of your customers, acquiring good ideas, and communicating directly with your visitors in real time. You can avail of this service without having to shell out a single penny. 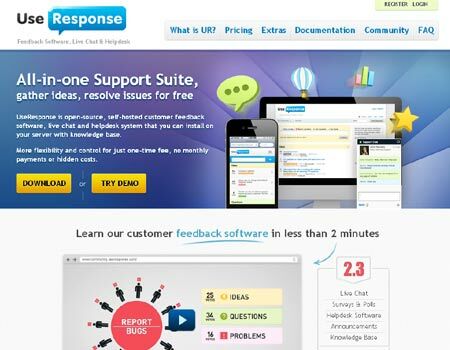 UR is noted to be an open source, self hosted customer feedback software piece that also proffers an innovative helpdesk system and live chat features. 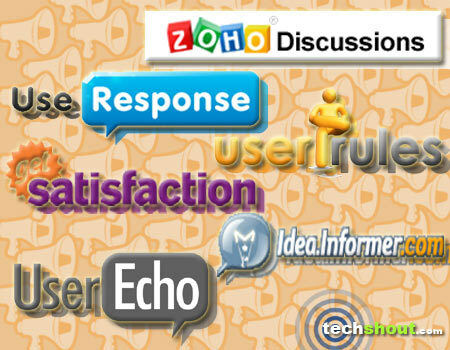 The service provides different customizable types of responses like problems, ideas, thanks and questions. 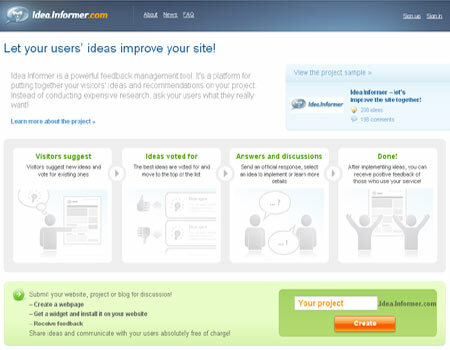 Users can vote for their favorite ideas and maybe even leave positive or negative responses on the same. You’ll be able to customize the interface by employing readymade themes or put your own spin on things by fashioning one of your own. You can further create FAQs or online documentation to keep your users better informed. Now although this program is offered free of cost, there’s also a Corporate version available which will cost you $499. This app like UserVoice in our roundup urges you to ‘create your own customer support and private community.’ Through this space, you can easily discuss a plethora of topics, solve problems and exchange noteworthy ideas. All you need is just this one solution to seamlessly juggle questions, feedback, problems and ideas. Besides proffering a wide range of re-branding tools to personalize your community, the program also comes complete with moderation options, reports and stats, widgets, different topic types, data export and user profiles. Now as far as the pricing details are concerned, there are 3 sorts of schemes you can avail of namely, Free, Value and Power which are tagged at $0, $12 and $49 per month, respectively. 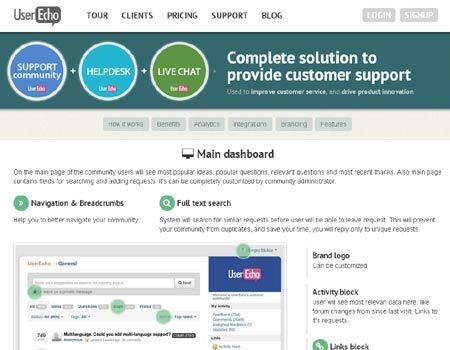 Launched in 2008, the software in the spotlight here provides users with some pretty handy customer engagement tools. This slew includes support tickets, knowledge base, feedback forums and metrics. These helpful features allow companies to understand their target audience a little better and even prioritize ideas minus any complications. Now, if you want to try new solutions that proffer similar attributes, you can opt from any of the aforesaid choices in our UserVoice alternative lineup. What’s more, some of the services found here can be acquired free of cost. So which one have you zeroed in on?